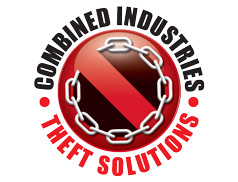 The total cost of theft in the UK is up to £3 billion every year according to Combined Industries Theft Solutions (CITS) who have gleaned the figure from insurance industry estimates. This figure includes the cost of replacements, the cost of repairing damage and processing claims. Equipment theft is a large part of this total cost. Cars, vans, trucks, and motorbikes have always been a target for professional and opportunistic thieves and in the past decade construction and agricultural equipment has been a common target with over 500 machines stolen every month from farms and construction sites up and down the UK. Despite the financial impact of this, the cost of equipment theft has never been accurately quantified. However, not for profit organisation, CITS, has now established a figure of £650 million p.a. as an accurate estimate. This staggering figure comes from research commissioned by CITS. Lombard Relationship Director, and CITS Board Member, Patrick Cassidy who conducted the research comments, "Machinery theft is a real issue for construction companies, farmers, the rental sector, and insurers. It's a growing problem with organised criminals behind the majority of equipment theft with specific machines 'stolen to order' and shipped abroad within hours of being stolen. The total cost of £650 million includes the direct replacement cost of equipment, hire of temporary equipment, loss of business, insurance claim processing costs, and increased insurance premiums." CITS as a group want to raise the awareness of theft and to encourage businesses of all types and sizes to treat the many and real threats more seriously and to take robust action to guard against theft. CITS recommends the adoption of CESAR, the only official equipment security and registration scheme as the first step against theft. CESAR acts as a powerful deterrent against theft and an invaluable aid in recovery. CESAR registered machines are 4 times less likely to be stolen and 6 times more likely to be recovered than unregistered equipment. CESAR became the most successful and widely used scheme, of its type, in the world at the beginning of 2011 after achieving 15,000 registrations in 2010, in both construction and agriculture, taking the cumulative figure to 40,000. Now, just 11 months later, the number of cumulative machine registrations has topped 70,000 units. CESAR is fitted as standard by a veritable 'who's who' of equipment manufacturers including New Holland, John Deere, JCB, Manitou, and Merlo. The CITS web site at www.theftsolutions.org gives details of practical security precautions and members' products and services. The CITS code of practice can be viewed as a PDF document from a link on the site.